Indie films are known for creating the next “It” girl- a stand-out actress whose performance in a quiet film launches her into mainstream Hollywood. Think Ellen Page, Jennifer Lawrence, Scarlett Johansson, Juno Temple, Elizabeth Olsen, Brit Marling… the list goes on. Enter: Molly Leland. An actress who nabbed the lead role in the feature Shades of Julia and caught our attention when she won Best Actress at AOF and was nominated recently across from Maria Bello. Leland fits the mold. She is gorgeous, talented, and unassuming. She has the right anount of warmth and charm to make audiences everywhere relate to her and she’s a fellow Jersey girl (so perhaps I am biased!) I sat down over coffee to talk with Leland about moving cross country to pursue her dream, producing her first project Trail of Crumbs, and landing the role that’s putting her on the map in Shades of Julia (Best Actress at AOF International Film Festival). And if you feel like you’ve seen Leland before, perhaps you have. 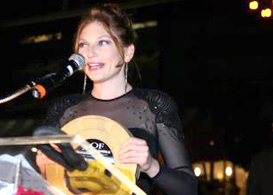 She was the recipient of the Stage Scene LA Award for Best Featured Actress/Comedy (2011) for her work in Thicker Than Water and her other film credits include This is Not an Umberlla and Love Scene (directed by award winning Bethany Ashton Wolf). She is also a regular to the LA stages including the title role in Candida with Chrysalis Stage, Chris Mundy in Dancing at Lughnasa, Hennie in A Noise Within’s Awake and Sing! (Ovation and L.A. Drama Critics Circle nominated), Anya in The Cherry Orchard, Medea in Medea Redux, Rosannah DeLuce in Brilliant Traces, and the world premiere of Constance Congdon’s Paradise Street as Jane Cavette. PPLA: When did you first know you wanted to pursue a career as an actress? LELAND: I’ve always had theatrical tendencies, I think. One time my mom found me upset. I told her that a boy in my class was yelled at earlier that day. I was already jumping into other people’s psyches! It wasn’t until I was a teenager, when I saw my older brother in plays via this community theater/school we had called Creative Theater, that I realized there was a profession that brought together all these various concepts that I love. 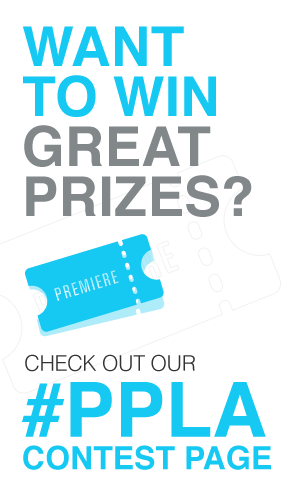 PPLA: Tell us about your career path in Los Angeles? LELAND: I arrived with a theater degree from Brandeis University. At first I definitely felt like a chicken with its head cut off, running amok! But, finding a good class was really integral for me to focus. The community I met was key but also learning how to work independently and pushing myself creatively gave me a set of tools I still use to break down roles and scripts. I was able to get involved in the independent film scene relatively quickly, and actually wrote, produced, and acted in my own feature film, Trail of Crumbs, which was an incredible education in and of itself. I notice that the opportunities to work with great people tend to grow the more I grow! In the last few years, I’ve gotten to do a lot of wonderful theater as well. I’ve been lucky to get involved with companies like A Noise Within and Chrysalis Stage.PPLA: What attracted you to the project Shades of Julia and how did that come about? LELAND: Actually Shades of Julia had a different actress initially cast. She dropped out at the last second and they needed to recast. One of the actors involved knew my work and referred me to the director. It was a pretty interesting audition process because everything was in place but the lead actress! We had a couple long auditions as well as reading with the other actors involved. What drew me to the film was the role. My character is literally on the fence about almost every aspect of her life. She wastes a lot of time and energy sitting in the fear of failure. That’s a story that I think a lot of artists can relate to. PPLA: What has it been like having your film nominated and winning awards at festival’s like AOF and being nominated across from established stars like Maria Bello (nominated for Carjacked) at the Movieville International Film Festival? LELAND: Amazing! I’m so grateful to the festivals that create a platform for quality independent films. I’m really proud of what the directors of Shades of Julia have done, and festivals like AOF are so great. It’s really humbling to see my name next to Maria Bello’s! PPLA: Where do you hope your career goes in the near future? LELAND: Dorky confession, I keep a list of directors I want to work with, after seeing television, film, and theater. One dream of mine is getting to work with Wes Anderson. Moonrise Kingdom was amazing! Other directors are Guillermo Del Toro, Stephan Daldry, and Greg Yaitanes. I’ve met such talented folks along the way, like the director of Shades of Julia, Julian Doan, as well as Lullskull LTD. I hope to keep creating with them and to keep getting to sink my teeth into great writing and great stories. I’m also really excited about acting in the television scene. I think there’s a ton of excellent shows on the air that push boundaries or make me laugh, like Breaking Bad or this new show Animal Hospital. I could go on and on. The TV medium has been a big focus of mine this past year. PPLA: Aside from acting, what other interests do you pursue? LELAND: Art and the great outdoors- hiking and kayaking! I’ve been painting like a madwoman. Actually a friend of mine will be showing some of my pieces this winter, which is quite an honor.I hear there’s a waterfall in Pasadena that is amidst a beautiful hike. That’s my next hiking mission. To learn more visit MollyLeland. Visit AOF Film Festival.